Ah the HTC One (M7), the device that started to turn the tables for HTC, it was the device that brought truly elegant build quality to the mainstream flagship Android smartphone. The M7 has run the OS gauntlet with AT&T and received technical approval on Monday according to HTC’s Vice President of Product Management, Mo Versi. 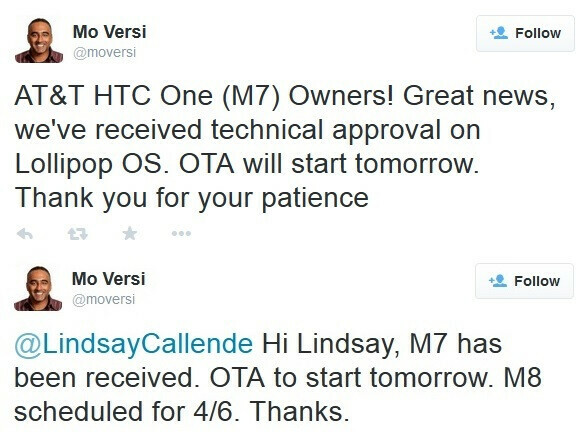 Beginning Tuesday, HTC One (M7) owners on AT&T will get “Lollipopped.” HTC confirmed that the AT&T variant would get the update during the HTC “Uh-Oh” announcement. What about HTC One (M8) owners on AT&T? Fear not, that date is slated for April 6th. As we have outlined already about what this update brings to the table, the HTC One flagships on AT&T will be upgraded with Android’s Material Design motif, the 64-bit ART compiler, and Project Volta to get better battery performance. Lock screen notifications, a new “recent apps” page, and the ability to get to the quick settings menu from any screen are all in store, plus more. 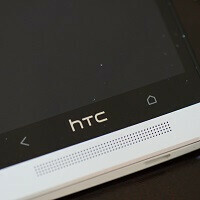 HTC has made a pretty good effort to bring update to its devices within 90-days of the major release from Google. However, Android 5.0 was not bug-free, and given that along with carrier considerations, HTC had to relent from that goal a bit. Still, HTC One customers on AT&T are a little behind the curve this time around. Better to have it done correctly rather than fast, right?